What are Broken Capillaries and how can you treat them? Broken capillaries are actually naturally dilated small blood vessels. They give off that distinct red to purple color that many men and women find very unattractive. Telangiectasia can arise from extensive sun exposure, can be hereditary or develop as a side effect of certain medications. Careful physical exam and assessment must be performed to evaluate all possible causes before a treatment is initiated. Virtually anyone, but people of lighter skin tone are more vulnerable as their skin color shows the blue/green and purple hues of tiny vessels. Depending on the location, size and modality of treatment, the duration or number of sessions changes. The beauty of these treatments is that they are virtually painless and there is no downtime and results are permanent to semi-permanent. The duration of treatment will depend on the area of treatment as the medication is dose dependent. If all areas of concern were successfully tearted in one consultation, than it only took one treatment, which I tru for majority of the cases, while others may return for another session 4-6 weeks later. Occasionally, combination treatment is recommended with Asclera® injection and laser treatment such as Cutera® or Laser Genesis®. What does Dr. Avaliani offer to treat broken capillaries? 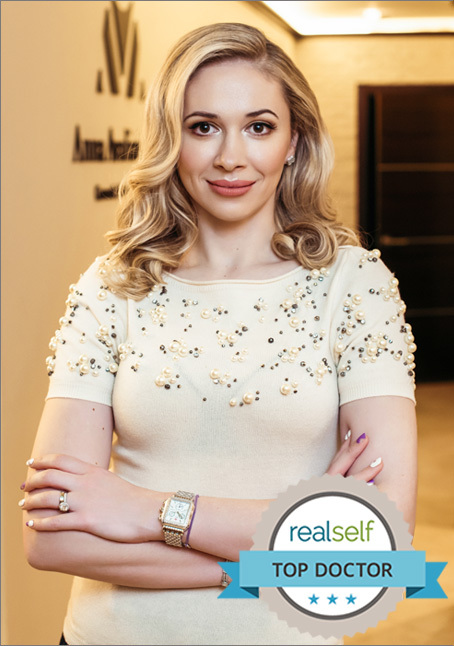 Dr. Avaliani is one of select few expert physicians in NYC who offer precise treatment using a special light “Accuvein” which allows for real time and direct observation treatment and removal of these broken vessels while minimizing the chance for bruising or any adverse side effects.